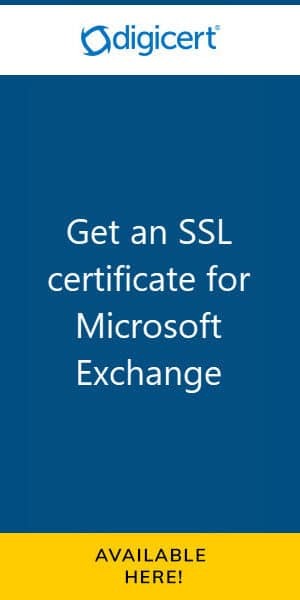 Not only for Windows 8 users but also for Windows 7 users. And that doesn’t just include PCs. Windows Phone 8 users will also receive a free upgrade to Phone 10. 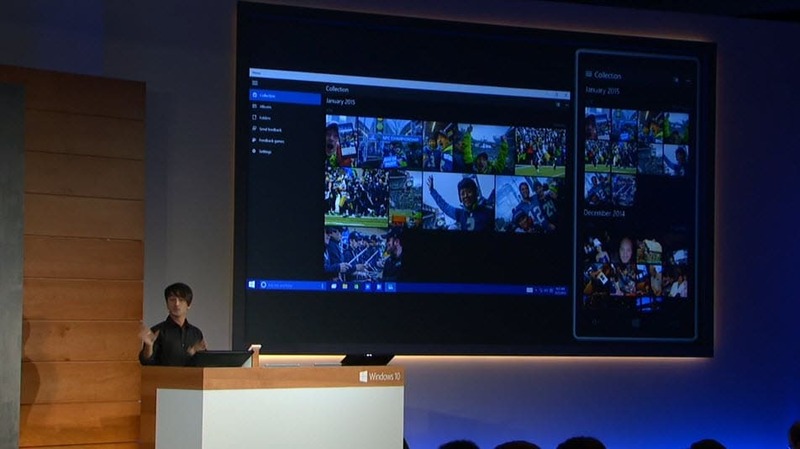 Joe Belfiore demonstrates Windows 10 running on a Nokia Lumia 1520 later on in the keynote. 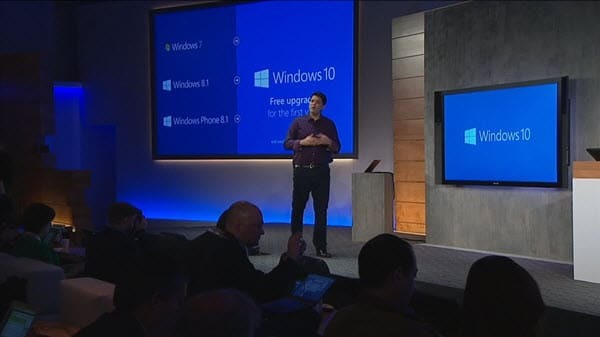 Microsoft further explained that Windows 10 is envisioned as Windows As A Service. It will keep users up to date with all the latest features. There will be no more waiting for the next release. And asking ‘What version are you on?’ will become a thing of the past. It gives developers the benefit of producing for only one version of Windows. The only suspicion is that Windows As A Service will become a subscription. Much like Office is now. And if so, how far will that subscription model extend? Will Enterprise customers still have the same volume licensing opportunities as they do with Office? Only time will tell. But for now–it’s free! And it looks awesome! Windows 10 will see many overhauls in the UI. One such change is the Start Menu. In the original release of Windows 8, the Start Menu received a lot of criticism. Namely that it was designed more for tablets and touchscreens versus a mouse and keyboard. While Windows 8.1 saw many improvements for mouse and keyboard Windows 10 takes it a step further. It allows users to switch between a Full-Screen start menu and a Small start menu. All with a single click. In fact, in the new Continuum feature–designed for 2-in-1 devices such as a Surface Pro–detects if you attach or detach a keyboard and mouse. When you do, it prompts you to enter or exit tablet mode. Tablet mode switches all windows and the start menu to a touch-friendly full-screen mode. When you exit tablet mode it returns everything to a mouse-friendly windowed mode. The Small Start Menu also returns. Other changes will be the charms bar. This will see a major change in Windows 10 as it morphs into the Notification area. This new area is much more feature rich and will allow direct interaction with apps as they post notifications. 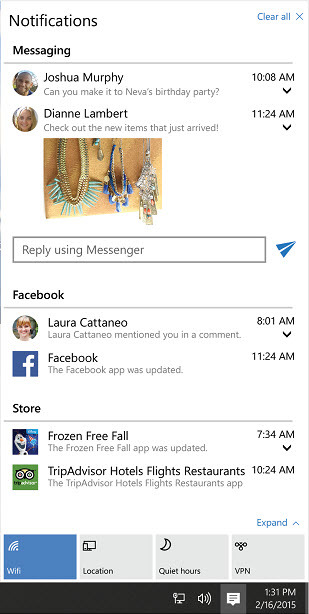 In the example screenshot, we can see notifications from Messaging, Facebook, PC settings and more. I am very impressed with this evolution and I really think it will aid in productivity. Cortana has been on the Windows Phone for some time. And she is awesome. It is no surprise that she will now be integrated into all Windows 10 devices. Just like a Windows Phone, you can verbally ask Cortana a question (or type if you prefer). She is accessible right from a search box built into the taskbar. Cortana not only has the ability to gather answers from Bing, but she also learns what interests you. Whether it be sports news, monitoring certain stocks, or, reminding you of an important event Cortana learns from your habits. Cortana also has the ability to search across multiple sources for information. Whether from the files in your PC, content in your One Drive cloud storage, or elsewhere, Cortana can retrieve that information for you. I honestly can’t wait for Cortana to hit my PC (sorry Clippy ). 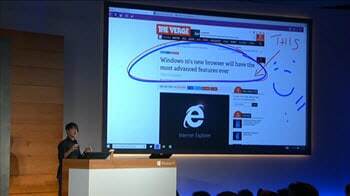 Project Spartan is the codename for the next iteration of Internet Explorer. And this is a big one! 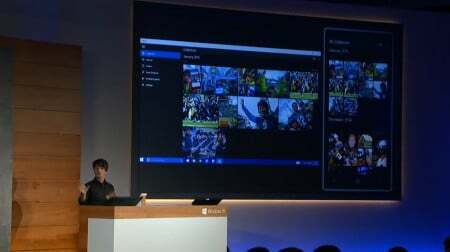 Joe Belfiore showcased three fantastic new features from the next version. Note taking mode allows you to draw and type notes directly on the web page you are viewing. Not only that, it then allows you to save and share those notes with others. Joe described this succinctly as “expressing our thoughts right on the canvas on the web”. I couldn’t agree more! This is a hot feature for me. Reading mode is where Internet Explorer discovers content on a web page and displays it in a familiar view. Using my blog as an example, the main body of my site would show in the reading view. All other navigational features–sidebar, header, footer–would be stripped away to create a common view. Joe describes this as creating a standard reading view across sites of varying complexity. Reading mode also includes a reading list. This list allows you to pin content so it can be synchronized across all your devices. It can even be stored offline. Which is great if you find yourself with no wifi. Yep. You guess it. 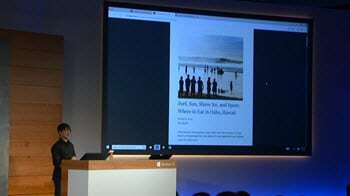 Cortana will be built directly into the browser. 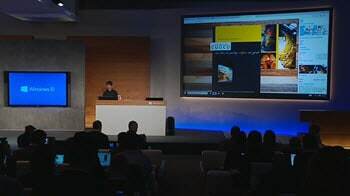 In Joe’s demo, he shows how Cortana displays what she knows about a restaurant into an inline sidebar view. The inline view has directions, menu links, and even reviews. Joe further investigates menu items by using Cortana’s inline search feature to find nutritional information. It’s a neat feature. Check Joe’s demo at the 65-minute mark. Universal Apps is an initiative to have a familiar experience with all your apps no matter what device you use. Microsoft’s goal is to use the same code regardless of screen size. Joe demonstrated this in Word and PowerPoint where the familiar Office Ribbon was reformatted as the App Bar for a smaller device. Joe also demonstrated Reflow Mode, which optimizes the document specifically for a small screen. One of my favorite features was the announcement that the Recent Documents List will be synchronized between devices. I really like this! Another great enhancement was that Outlook for mobile is now powered by the Word engine, just as it has been on the PC for many years. Joe also demonstrated the new Universal Photo App. An app that looks the same across all devices, keeping all your photos in sync. The app has the ability to automatically create albums based on date, location, and even people. It will select the best images (including an album cover) and allow you to share and manipulate them in any way you desire. It will intelligently remove duplicates and autocorrect images. It is definitely an app of the future. Ok. Time for some fun! 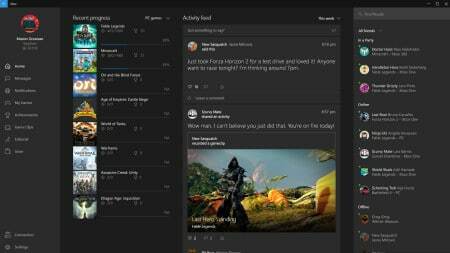 Xbox Live will make its way onto the PC. First, it’s not the experience you had on Windows Phone. It is so much more than that. For example, you can stream a game from your Xbox console right onto your PC. All you need is to configure pairing. Phil Spencer demonstrates this at the 82-minute mark. The thing I am most excited about is PC and Xbox players can now mingle in multiplayer. This is… phenomenal! It always irked me that I could not play against someone in the same game but on a different system. The irk is no more! The Xbox App comes with a Game DVR feature. This feature not only allows you to record and share your gaming moments with your friends, but it also helps you to go back in time to capture moments you may have missed (up to 30 seconds). The Xbox App is more than just about playing. It is also about connecting. 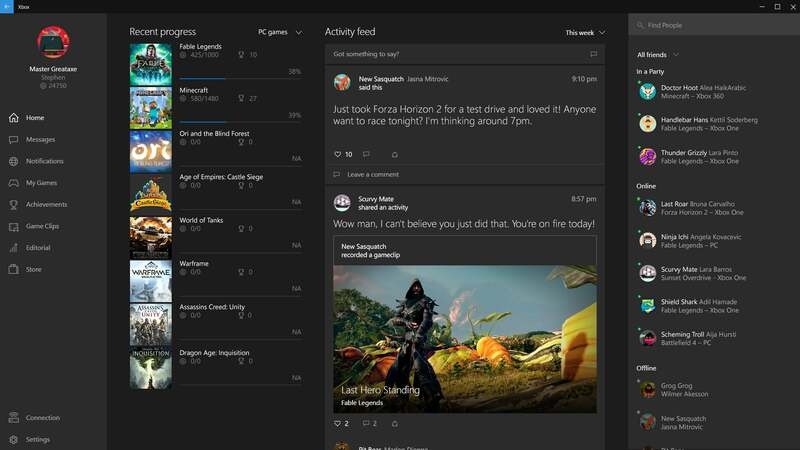 On the Xbox App, you can message your friends by voice or text, stay up to date with everyone’s gaming activity and, share pictures and videos. Phil also demonstrated how the new DirectX12 outperforms DirectX11 on the same hardware. That DX12 allowed for a 50% improvement on CPU bound games. That DX12 cut power consumption in half for mobile devices. This lets us play Angry Birds just that little bit longer. 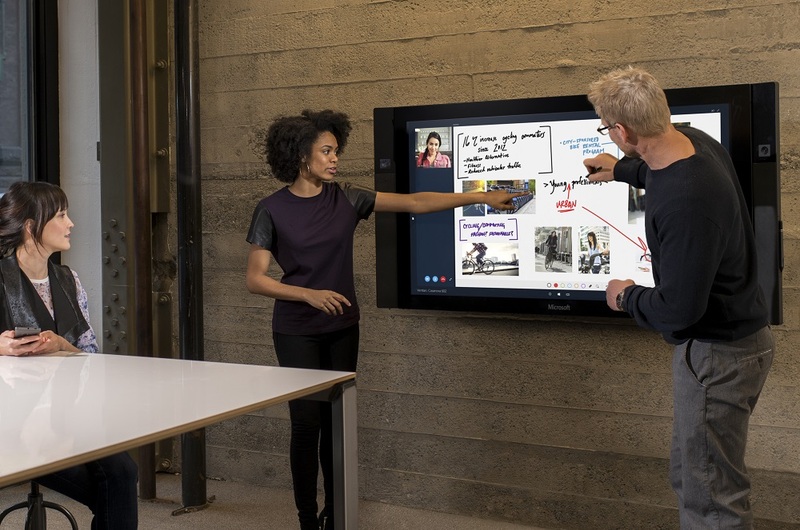 The Surface Hub is Microsoft’s step into the digital whiteboard arena. The Surface Hub is a 55″ or 84″ inch 4k TV. It has a built-in computer, sensors and conferencing technologies. Two of the great but subtle features we saw during Hub demo was when the presenter approached the Hub it recognized her and logged her in. Secondly, when she picked up the stylus it automatically launched OneNote. I was very impressed with the white-boarding demo. Coupled with the formidable conferencing technologies of Skype for Business (formerly Lync) I think digital whiteboard vendors have a serious contender on their hands. I look forward to seeing more on this technology as it becomes available. Okay. I think it was at this point the hyperventilating started. A definite full-scale geek-out. Enter Holographic Computing. Specifically Microsoft HoloLens. 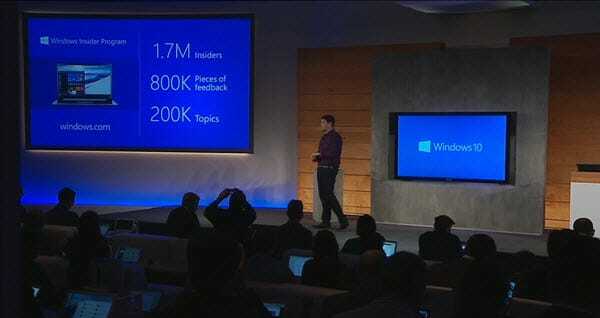 This is where Windows has moved from science fiction to science fact. 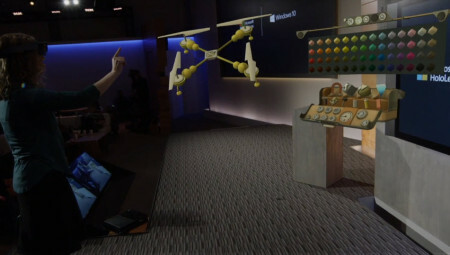 HoloLens is a wearable computer comprised of high definition see-through lenses, spacial sound, a sea of sensors and multiple processing units. In fact, Alex Kipman introduced a whole new processing unit called an HPU (Holographic Processing Unit). The HPU is specifically designed to map the entire world around us. Holographic code is included in every version of Windows 10. And that is exciting! We then witnessed the creation of a quadcopter in HoloStudio (above). HoloStudio is a holographic creation tool. 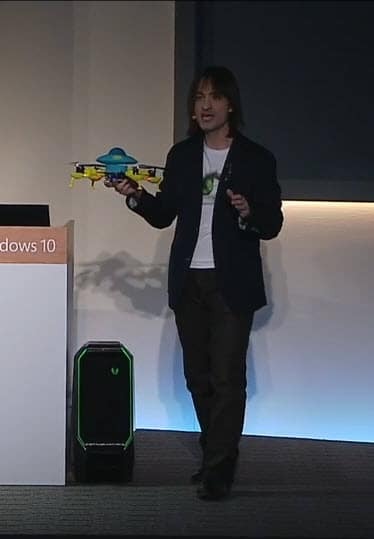 In perfect television magic, Alex Kipman presented a quadcopter that had been 3-d printed from HoloStudio. But what about the practical application? Quite a lot actually. In fact, Alex let us know that the Jet Propulsion Laboratory (creators of the Mars Rover) had been using it for some time. JPL stated that they plan to use this technology to control the Mars Rover. So what do you think? Is this going to be the best Windows yet? I think so. Are you super excited? I am! So they’re making Windows more like Android with Oculus Rift as an addon. I think HoloLens is going to surpass Oculus. If not already.